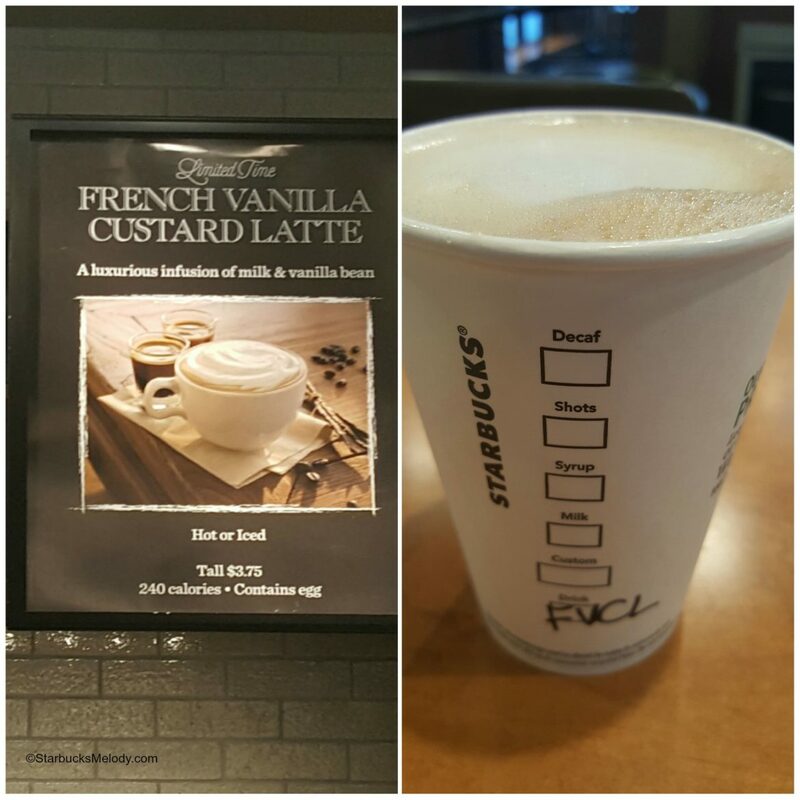 This beverage – the “French Vanilla Custard Latte” – is like a modern and delicious twist on the eggnog latte. The drink build is akin to an eggnog latte. 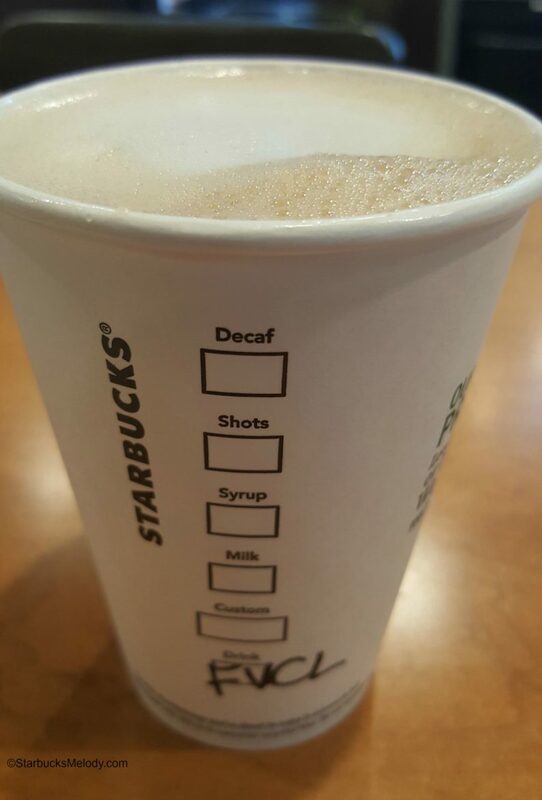 The tall drink comes with two shots of espresso, milk, and what is essentially a French vanilla nog. Like the eggnog latte, it’s a rich, heavy, dairy beverage. While it might be called the “French Vanilla Custard milk”, it’s closest in texture and appearance to an eggnog. Except that it’s not eggnog. 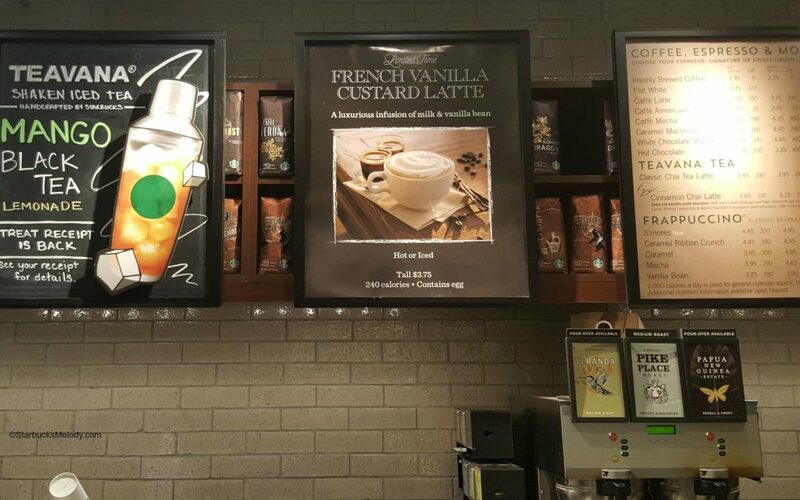 Like the eggnog latte, the French vanilla nog is cut with milk, to give it the right intensity and flavor. The liquidy-French-Vanilla-nog milk has a flavor a bit like a bowl of melted French vanilla ice cream. (I tried a tiny sample of just the straight nog). It’s wonderful. I tried it both hot and iced. The partners at the store testing it highly suggested it as a Frappuccino. Since it’s not being tested as a Frappucino, there’s not a standard recipe yet, but I did try it. They made it similar to a Cafe Vanilla Frappuccino. I think this could be amazing as a creme-based Frappuccino. I also think that the drink would work with just a shake or two of a powdered cinnamon atop it. The two partners working said that lots of customers were saying that they loved it, and that the store partners were enjoying too! So let’s hope this drink makes it out of testing. Keep your fingers crossed. And if you got an idea for a good name for the drink, or cup code, let’s hear it! Where is this being tested? I’d like to give this a try if it ever makes it out of testing. I did a double-take too!! I thought it was going to be a “funny name mistake” story. Also, this drink sounds yummy!! @Alexa – Lots of people did a double take! 🙂 Thank you for the comment. Just VCL would be fine.